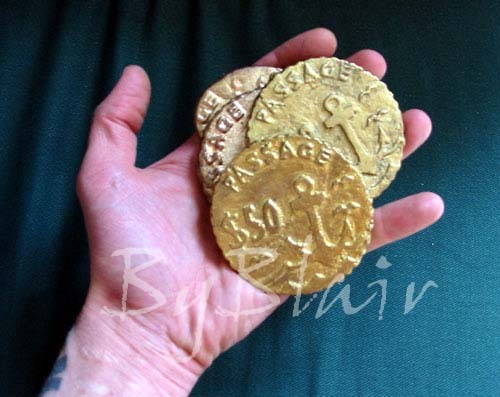 Pirate Coins - When I was the owner of passage I wanted to create a gift certificate that was reusable and fun for the clients. I carved a coin in wax and then cast it myself. There are three coins in total, made with bronze, brass and manganese bronze. These are the only three that exist. I sold my half of the shop before I could have them produced.